Physical Therapist student loans are a big challenge compared to their income prospects. Tuition is rising at twice the rate of income and DPTs graduate with far more debt than they thought when they first enrolled. Physical Therapists have 50% higher debt than they thought when they enrolled in the DPT program. Taking on an average physical therapist student loan debt $90,000 of student debt to earn $80,000 a year seems like a sound financial decision. That’s what the DPT programs lead its students to believe…but the reality ends up hitting DPTs in the pocketbook. Between annual tuition increases (not stated on the program websites), higher than anticipated living expenses, and accrued interest, financing your physical therapy education can lead you to end up with loan balances in the $150k range while those who went to private schools can be in excess of $200k when all is said and done. Student loans go from a manageable amount to a crushing financial burden which is the high cost to the physical therapy profession. The DPT Degree Increases Quality of Care, but how much does it affect income? Physical Therapists used to be able to get a master’s degree in 2 years. Then, the APTA released their Vision 2020 and started pushing the DPT programs looking to get 100% adoption by 2020. Patients are benefiting from the extra time in school and more on the job training. DPTs graduate with better training and are more prepared than before. This is a great thing for the industry and patient care. The problem is that incomes aren’t rising proportionally. Salaries for Physical Therapists are growing at the normal rate of inflation, but they didn’t anticipate that tuition would grow at twice that amount each year they’re in school. Because of the high student debt compared to income prospects, DPTs are forced to make to make career decisions based upon paying back their loans rather than pursue a specialty they truly care about. Seeking more income because of the higher than anticipated student debt, they change specialties from their original passion, uproot and move to new cities and in some cases leave the field altogether to make more money. Some wanted to open their own clinic or buy into a franchise, but that’s off the table. Saving up for the buy-in fees gets put on the back-burner as physical therapist student loan payments take a solid chunk from their monthly paycheck. DPTs went to school to help patients in a way that was meaningful to them, but the student loan burden forces them to make a different choice. Along with the student loan burden, confusing loan repayment programs and poor guidance cost physical therapists even more money. Here are common mistakes we’ve seen here at Student Loan Planner. Staying on IBR makes monthly payments 50% higher and total payments higher compared to PAYE or REPAYE. Let’s assume that Chris has $200,000 of loans at 6.5%. He starts out making $70,000 and his salary grows to $80,000 within 5 years and then grows at inflation from there. Chris’s total payments under IBR are estimated to be $333,945 over 25 years. That includes the estimated taxes owed (40% tax rate) on the forgiven balance in 25 years. With REPAYE, total estimated payments and taxes owed would only be $257,196. REPAYE would save Chris more than $75,000! PAYE would save him more than $90,000 and he’d be done paying back his loans 5 years sooner. We’re talking $195,000 in savings compared to other options. $200,000 of loans can be paid back over 10 years for less than 25% of the loan amount out of pocket. What could Chris do with an extra $195,000 that didn’t have to go toward his physical therapist student loans? Let’s be honest. Saving money on student loan payments means nothing for people who end up spending the difference. DPTs who have dreams to open up their own clinic or buy a franchise can make it happen if they utilize savings from loan forgiveness to do so. Some individuals use lower payments from programs like REPAYE and PAYE to spend more money. If you’re going for loan forgiveness, then take the $1,000+ a month you would have had to spend on loans and use it for other financial goals. Don’t just spend it on big ticket items like housing and cars. At that point, switching strategies may make sense and moving to private refinancing over 10 years looks like the lowest out of pocket cost. However, private refinancing would mean forgiveness is off the table for good. What do most DPTs do? Just pick a plan without thinking and never reevaluate their strategy. Don’t be one of them. 1. Tell me about your career goals. Chris and I would talk through his reason for becoming a DPT in oder to determine some possible student debt relief for physical therapists. Does he want to work at a hospital, start a clinic, buy a franchise, or is he not quite sure? Starting a clinic and buying a franchise would require a solid savings plan. We’d find a path that would keep student loan payments low so they could maximize their savings. Depending on the specifics of his situation, we could switch to PAYE or REPAYE and talk through strategies to lower AGI which would lower his payments even more. 2. Is seeking work from a non-profit (501c3) organization on the table? If he’s willing to be patient, working for a non-profit hospital 10 years would be ideal. He could keep payments low, enroll in PSLF and have his loans off the table at a fraction of the cost. 3. Is the prospect of marriage on the table anytime soon? Getting married can have a huge impact on a DPTs loan payment strategy including skyrocketing monthly payments and an increase of $10,000s in out of pocket loan costs. If marriage is close by, then we’d want to take Chris’s future spouse’s income prospects and student loans into the equation. To save the most money, the two of them would need a mutually agreed upon, unified approach to paying back the student loans. 4. How certain are you about your career over the next 10 years? 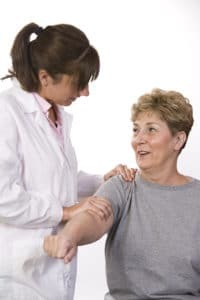 When it comes to the right strategies to pay off physical therapy student loans, a high degree can certainly be a beneficial factor. If there’s any uncertainty whatsoever, the most flexible, least costly plan is the way to go. REPAYE can be a good option with uncertainty because of the potential interest subsidy. If the loan payments stay low, the government would pay part of Chris’s loan interest effectively lowering his interest rate. Chris has $200,000 of student loans at 6.5%. That means that his loan will accrue $13,000 of interest this year ($200k x 6.5%). His total loan payments for the year would be $5,000 ($417/month) based upon his $70,000 of income. So his loans are due to grow by $13k due and his payments will cover $5k of it. That means there’s $8k of interest not covered by his payments. Under PAYE, his loan would grow by that $8,000 this year. Under REPAYE, the government would subsidize ½ of that remaining $8,000. They would eat $4,000 of that interest. Not only that, but if Chris changes course down the road, he would have $4,000 less to payback or be forgiven compared to PAYE. You might be thinking that’s a great option no matter what? Well not necessarily. There’s no cap on REPAYE payments, so If Chris’s income is going to grow significantly or he ends up marrying someone with a similar or higher income and no student loans, his loan payments could more than double. That’s why if something significant in his life happens down the road, he’d want to reevaluate his path. Since he’s not quite sure about his future spouse or earnings, taking advantage of the interest subsidy means he’d lower his interest rate and have less to pay back if he were to switch payment plans or refinance. Physical Therapists can find a clear path to pay back their student loans. A path that could save them tens of thousands of dollars out of pocket and figure out how to pursue the career path and specialty that motivated them to enter DPT school. Student Loan Planner has done over 750 student loan consults for clients with over $200,000,000+ of student loans. Whether you want to work for a hospital and go for PSLF, work at a private clinic or save up to start your own, we can help you figure out the optimal path in just 1 hour. Rob (the author of this post) works with borrowers who owe less than $300,000. He’s usually the point person for our physical therapist student loan consults. Feel free to email him at rob@studentloanplanner.com. Are student loans keeping you from pursuing your career and financial goals as a physical therapist? Share your story in the comments. Ask Rob About Your DPT loans! This post is so true! The biggest concern I have is that I’ve been under the impression that any “forgiven” outstanding loan balance will need to be claimed as income on your taxes for that year. How does this work, and how much money are we going to need to pay at that point in time? For most people the tax bomb would range from 100,000 to 200,000, but you can prepare for that over time Beth! If you save at least $500 a month in an investment account (not retirement), you should be able to have enough money to not worry. Of course, we provide personalized analysis for this, but that’s the general idea. People’s tax bombs depend on their income and debt repayment path. Generally, PAYE has a higher tax bomb and REPAYE has a lower one because of the subsidies and longer repayment period. $500 per month? Are you insane? Do you mean $50 per month? At 66 per month for 20 yrs it would equal 20000. Put that 66 in a mutual fund with a 6 percent avg return and you’ll have 50000 after 25 yrs. No I don’t mean 50 a month. Run the math for what you’d need to have $200,000 after paying capital gains taxes with a lump sum withdrawal in 20 years at 5% interest. Why is this not taught in school? I’m going on 10 years since graduating with my DPT with a good chunk of student loans and am embarrassed to say I have no clue what PAYE, REPAYE and PSLF even mean! Great question Brittany. Hopefully you can help us get this info out there. Most DPTs make a ton of student debt mistakes. What constitutes a ‘qualifying’ payment under PSLF? Is it a certain percent of your income? Is it a minimum payment? Any payment on Direct loans made on REPAYE, IBR, PAYE, ICR, or the Standard 10 year plan. Most PSLF qualifying payments will be below the standard 10 year. I appreciate this article! It is the most information I have gotten since leaving PT school 6 years ago. Does it make more sense for a couple who is married to file taxes separately for the purpose of a lower payment on the RePAYE plan? Thank you. Janelle REPAYE counts your spouse’s income regardless of how you file taxes, so no I would not file separate on the REPAYE plan. Great question! That’s what blows my mind with many professional schools. They charge full price tuition for clinical rotations. Yes you receive training, but in many cases this is basically free labor and yet you pay them for the privilege. Would love to hear more about the off campus charges for DPTs. Would it make more sense for two PTs, one being roughly 170k debt being paid so far minimally on PSLF 3 years in and the other 105k unable to qualify for PSLF. We recently married and were unsure of to file jointly or separately, we ended up filing jointly but didn’t know which would be better to keep the PSLF as low as possible. Sounds like PAYE is better option versus REPAYE for us in this situation due to not taking into account spouses income as we make same amount but one loan amount is significantly higher (170k on PSLF versus 105k). If you both have income and debt you want to file jointly period. Once one of the loan balances gets forgiven on PSLF it becomes more complicated. Either PAYE or REPAYE sounds like it will work for you. I’d probably go with PAYE for ease of switching to married filing separate eventually when the other balance gets wiped. I am 5 years into PSLF with my loans from DPT school, and have been in IBR since starting my repayment. I was recently married, and my husband and I are trying to determine the best options for continuing with PSLF–both in terms of which repayment plan is best as well as whether to file jointly or separately. My husband has no loans, and his income is 25% greater than mine. If we file separately, I know that I will not be able to deduct my student loan interest; and that I will be able to stay in IBR, or consider switching to REPAYE. However, if we file jointly, I could only use REPAYE and my loan payments monthly would increase by >30%. I am dedicated to staying in the PSLF program, and I’m having a difficult time deciding on whether to change my repayment plan and/or consider filing jointly. I would want to run the numbers of course, but sounds like filing separately on IBR could be ok. Keep in mind that if you hit the 10 year standard number on IBR you can file jointly again and just have your payments capped. Also remember you can amend tax returns from separate to joint up to 3 years in the past. Might be good to do after receiving forgiveness. Great, thanks! I did not realize that we could amend our tax returns after receiving forgiveness. Also- if I’m eligible for PAYE which lowers my monthly payment by 20% as compared to IBR (per your calculator), then that would be the better option if I’m married filing separately, correct? Great Article. Let’s get to the root of issue here. If anyone hasn’t noticed, PT schools are becoming mills or factories, even online now! It’s a business, colleges are businesses and colleges are winning. It’s a zero sum game. PT salaries will stay deflated while tuition will keep rising due to inflation due to the new schools opening up, similar to pharmD grads. PTs should start at $120,000 per year without questions, IMO. Shouldn’t all that hard work equal more money? Having PT schools online just blows my mind. I get that they probably have you come in every now and then, but to me that’s the most blatant money grab there is when a hands on field like PT is being offered virtually. Great info! I wish I would’ve understood what I was getting into before going to PT school. This is a second career for me and I have loans I fear I will never be able to pay off. Loan forgiveness seems like the best option if I ever want to retire, but is it risky to depend upon this? Could they just take it away? In theory they could, but it would cause a financial crisis so I think that probability is low. There’s actually a podcast episode coming out soon dealing with folks who have student loans and are within 10 to 20 years of retirement. If that’s you I think you’ll get some useful thoughts out of it. Thanks for the reply Travis. That’s me for sure. Currently I’ve been trying to pay down my loans, but best case scenario would be 14 more years of living like a broke student and no contributing to retirement. I will check out the podcast!